Your business is as unique as you are, and you want it to stand out! That’s why ZipBooks lets you customize your account to your needs, so that your business is reflected in just the right way. Click on Preferences under the Account section. In the General Preferences box, choose the Credit Card Processor you’ll be using and specify the Account currency you do business in. Specify whether you call your business patrons Customers or Clients, and what you call the people who sell to your business. Choose whether to use the word Estimate, Quote, or Bid. 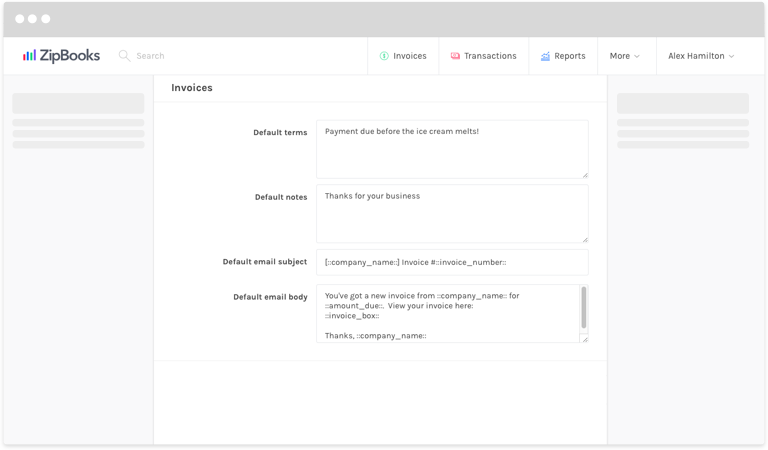 In the Invoice Preferences box, add a Default BCC (email) address to receive copies of the invoices you send out, and a Default reply to address where where your customers’ replies to your emails will go. Choose an Accent color by clicking on the square and clicking anywhere along the color line. Or enter the color number, if you know the exact color you’d like to use. Choose whether to Attach PDF automatically (by default), or whether you want to Accept Credit Cards or PayPal by default by sliding the buttons to On or Off. Choose whether or not to Allow invoice overpayment and whether or not to Gather reviews. 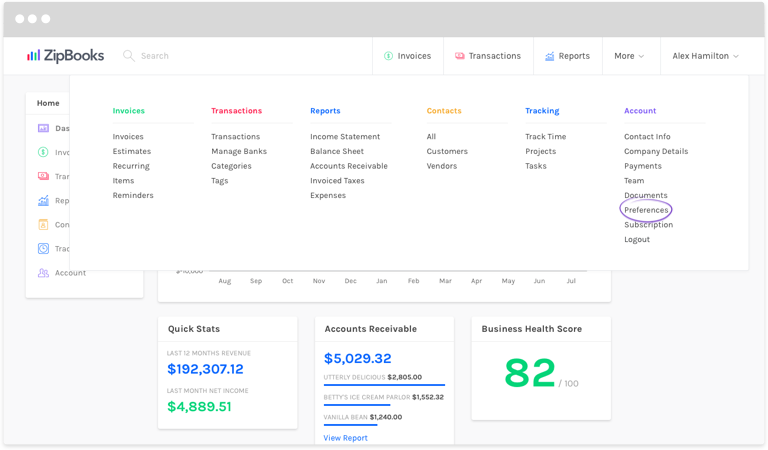 Add any Default terms and Default notes that you want to appear on every invoice automatically. Add a Default email subject and what you’d like the Default message to say. Use dynamic variables to customize your message automatically! Repeat Step 5 for the Estimates section. Press the purple Save button. Suggested next article: How do I add a new customer?